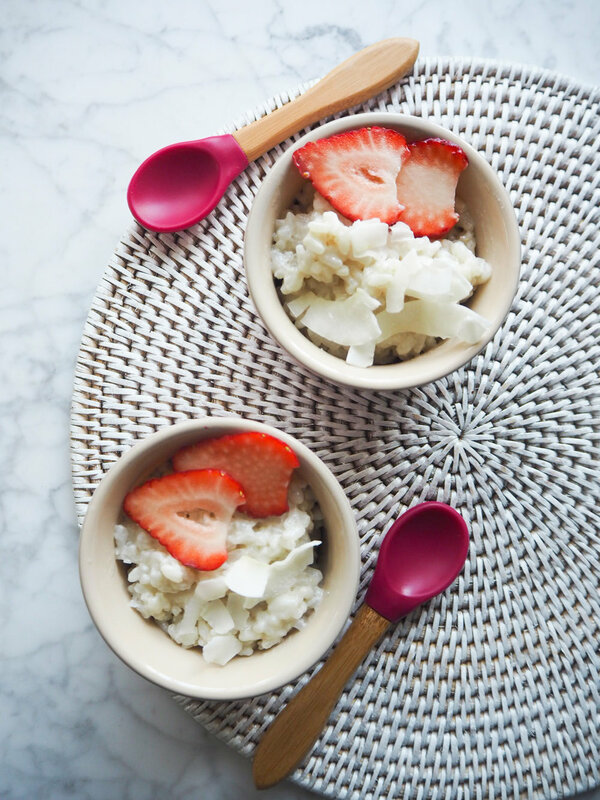 We tried these yummy coconut milk rice puddings and loved them: a fun twist on a traditional rice pudding and also dairy free. I tried cooking two different versions; depending on if you prefer to cook it for less time on the stove, or for longer in the oven. Choose whichever you prefer! I don’t add any sugar, but I serve the pudding with fresh, or dried, fruits for natural sweetness (and the added benefit of dietary fibre), fruit compote, fruit purée, or sugar free jam. Place all the ingredients in a pan, on a medium heat, bring to a boil and then reduce to a simmer. It takes 15 mins approx to cook and stir a few times. Leave to cool a little then serve. Heat the oven to 150C (fan oven), lightly grease a shallow oven proof dish. Combine the rice, coconut milk, water and vanilla pod in a bowl, or large jug. Pour into prepped oven dish. Bake for 1 hr 30 mins - 1 hr 45 mins (stir a few times during cooking). Leave to cool a little and serve.